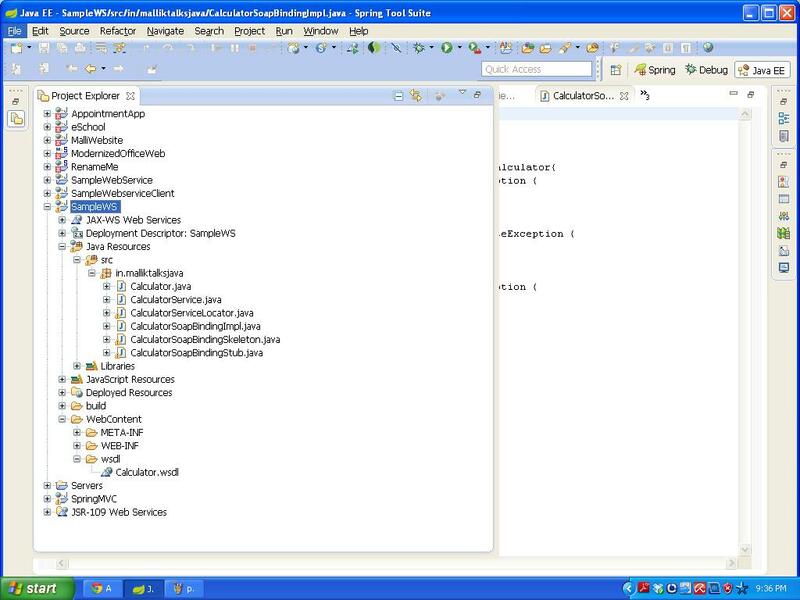 In the bottom up approach, we will write the java class and generates the WSDL file and other dependent components. The same will be deployed into the web containers. 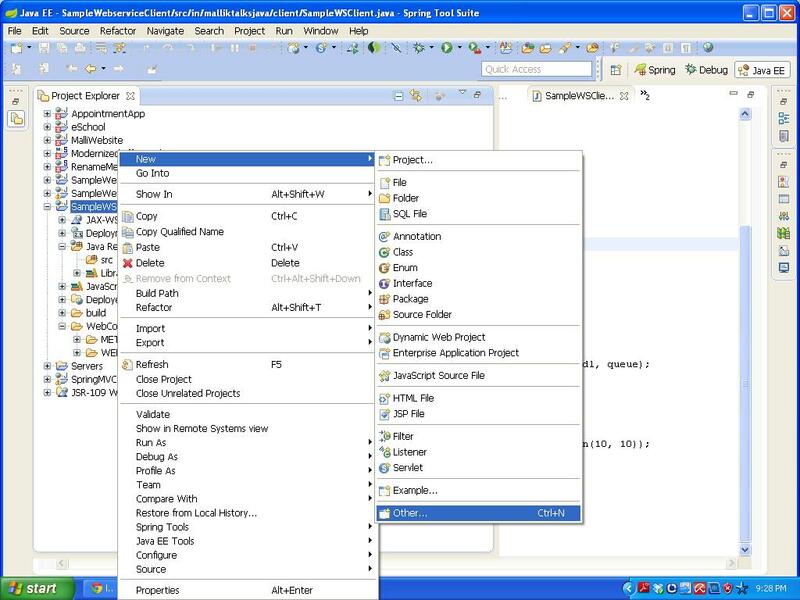 In Top down approach, Architects will write the WSDL file based on the requirements. Developer need to make the corresponding service implementation using the WSDL provided. 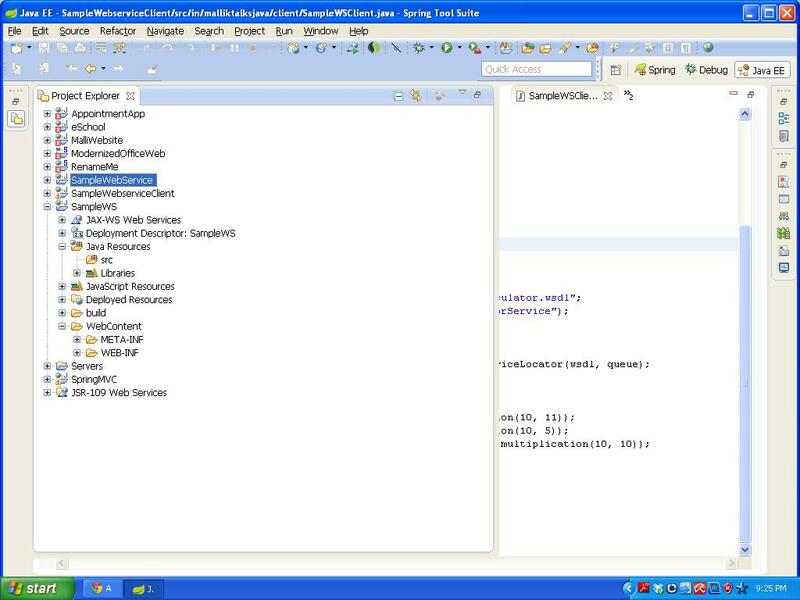 This post will explain how to create a service using the WSDL file. Here, I have created a sample web dynamic project with the name SampleWS as given below. Select the Web Service from the wizard as below and click on Finish button. 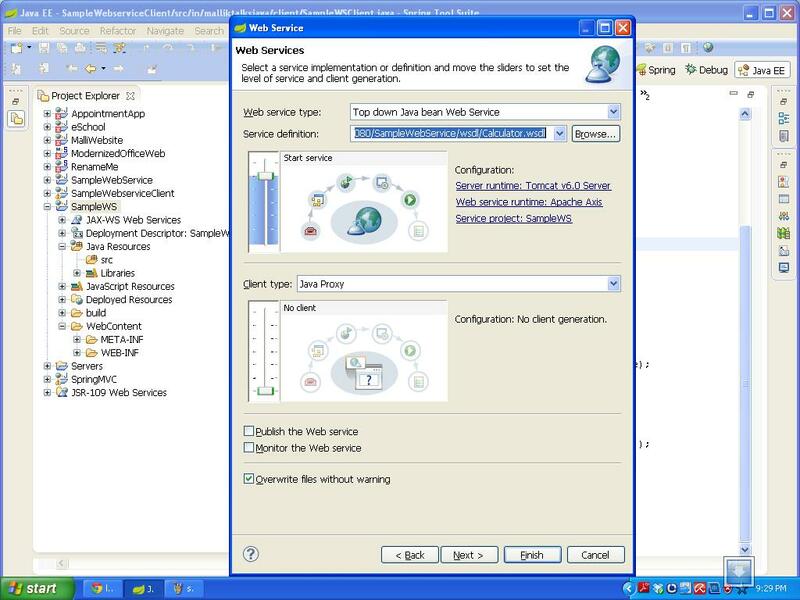 Select the Web service type as ‘Top down Java bean Web service’ and provide the WSDL url in the Service definition drop down and click on Finish button. 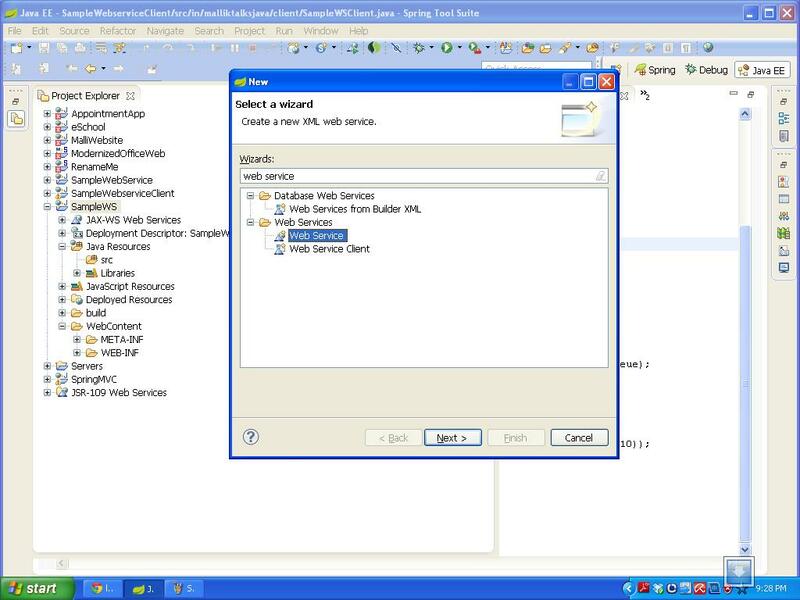 Deploy the application into server and use the below url as a WSDL for this to have the client.